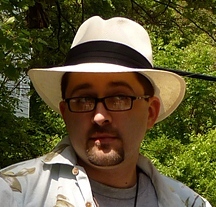 I'm Ronald McCollam, a Linux geek at a startup in Boston, MA. Ronald McCollam is an IT generalist with particular interests in Linux and open-source software. He has worked at Canonical, the corporate backer of the Ubuntu operating system and is currently the head of product at Libboo, a startup in Boston focused on revolutionizing the world of ebooks. In his spare time, Ronald is improving his Esperanto vocabulary, testing and reviewing disk images and applications for Ubuntu, and refining his technique for getting for home canning and preserving food. Technical Account Manager / Sales Engineer at Canonical Ltd. Built business and technical relationships with partners and customers. Provided presales and post-sales factory support to OEMs and ODMs on modifying, enabling, and installing the Ubuntu operating system. Created factory installation processes. Created customized demo systems and collateral. Worked closely with teams at Canonical and the Ubuntu community to ensure the highest quality software at all times. Ubuntu Senior Certification Engineer at Canonical Ltd. Tested daily builds of Ubuntu on various hardware. Issued certifications for working systems. Managed test development projects. Created projects to expand testing facilities in US and Asia. Mentored team members. Demonstrated iET Solutions' products to technical and nontechnical audiences. Worked closely with sales and marketing teams to define desired functionality and identify critical issues for resolution. Participated in product proofs-of-concept and implementation. Developed new and enhanced functionality through integration with external systems. Tested various configurations and platforms for iET Solutions' software. Responsible for maintenance and operations of mission-critical servers in a mixed Windows and Linux environment. Created scripts to automate and monitor system services. Created and disseminated tools, processes, and software for a new Network Operations Center (NOC). Development of Visual Basic and ASP programs against a Microsoft SQL Server backend. User interviews and training. Provided technical support for MacOS and Windows computer labs including hands-on demonstrations of computer programs to novice users. Assisted with computer-based instruction for university classes. Technology generalist, responsible for overseeing the technological development and operational status of Libboo.